Investigator Harry Hole is on the hunt for a serial killer. Women are turning up dead around Oslo, leaving Harry obsessively searching for clues. With each murder, a mysterious snowman is left behind, taunting the frustrated investigator. Is Harry on the right track in finding this maniacal killer or does he need to start looking in his own backyard? This is an intense thriller that is guaranteed to keep you up at night, especially during the dark winter months. I couldn’t sleep until I finished it! And, my kids are no longer allowed to build snowmen. Super scary! JO NESBØ is a musician, songwriter, and economist, as well as a writer. 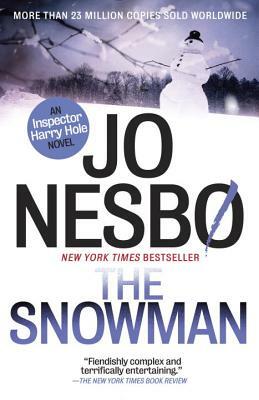 His Harry Hole novels include The Redeemer, The Snowman, The Leopard and Phantom, and he is also the author of several stand-alone novels and the Doctor Proctor series of children's books. He is the recipient of numerous awards, including the Glass Key for best Nordic crime novel.